Cobra Commander somehow got the drop on the world’s greatest ninja commando. You don’t see that every day. It’s unfortunate that the Sunbow cartoon stuck CC with an aura of cowardly incompetence. 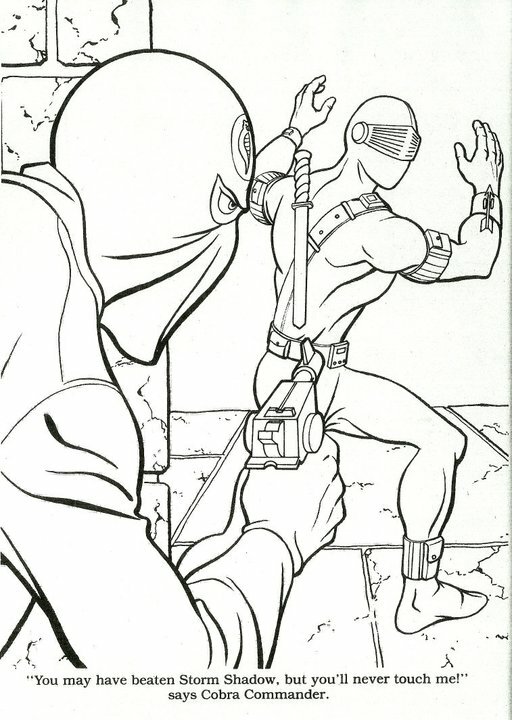 Early characterization in the file-cards and other supplementary materials painted a much different picture: one of an exceedingly cunning and almost recklessly courageous figure, as he would indeed have to be in order to command the loyalty of not only the Cobra legions but also the eccentric band of assassins, maniacs and mercenaries that comprises Cobra Command.